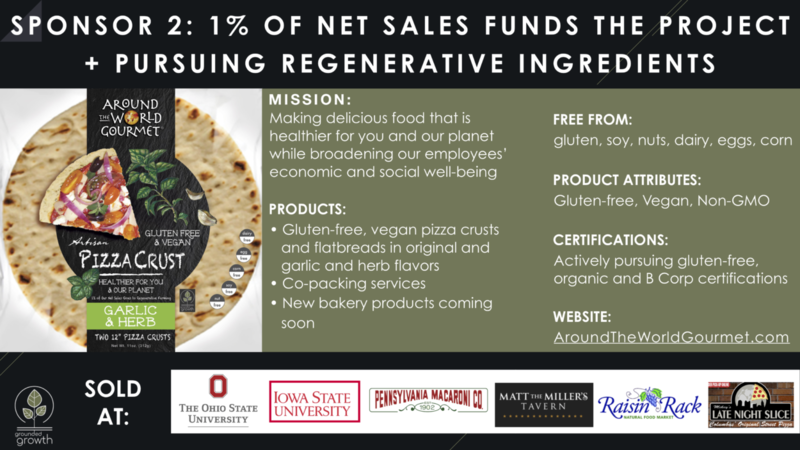 Grounded Growth Partners are companies that have committed to provide some portion of their sales to fund the expansion of regenerative farming practices by working with the one or more of the regenerative farmers in our network. One of the unique things that we provide to consumers and the public in general, is the ability to contribute to regenerative agriculture projects simply by purchasing the products of our partner businesses. These projects help improve the “gut health” of the soil, reduce climate change, pesticide and fertilizer use — while improving water quality and pollinator habitat (and many other environmental benefits of regenerative farming). Don’t be fooled into thinking big problems get solved with big sweeping policy changes. They get solved when many people take small steps and then take more small steps that add up to a real change. They get solved when people decide to use their purchasing power to solve problems as well as acquire goods. Supporting these businesses below — both by buying their products and following them on social media, is one of those small, but impactful steps forward! Thanks for joining with us in supporting these amazing brands and farms! Bella Gluten-Free takes baking seriously so you don’t have to. 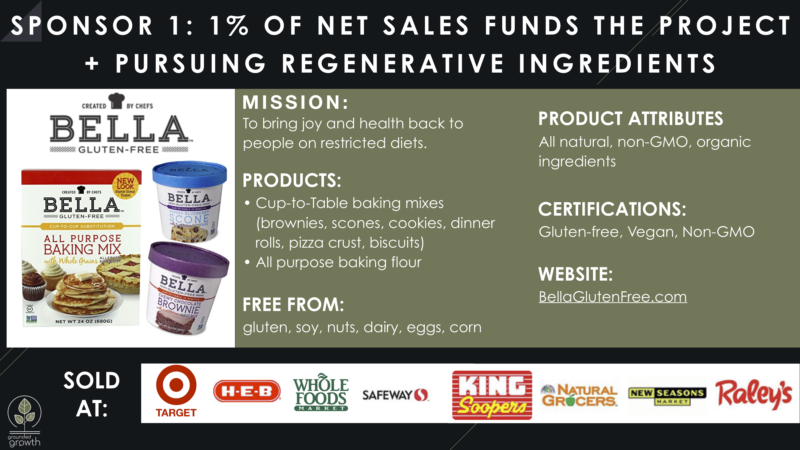 In 2010 three chefs launched Bella Gluten-Free™ with a mission to bring joy back to people on restricted diets. They use the finest assortment of all-natural, non-GMO and organic ingredients to create easy-to-use baking mixes. And because they take cross contamination seriously, Bella Gluten Free is GFCO certified and a recipient of the non-GMO Verification Project. Bella Gluten-Free™ is committed to bringing the best allergen friendly mixes to market, mastering taste, texture and nutrition. We are baking made easy, delicious and fun! Around the World Gourmet is on a mission to make products that are healthier for you and our planet. For people with food allergies, one of the things they miss most is a getting to have a great pizza! Serial entrepreneur, Jennifer Kocher from the Columbus, OH area created a product that returns this lost love to consumers. Around the World Gourmet makes delicious, hand-crafted flatbreads and pizza crusts that are free from gluten, soy, nuts, dairy, eggs and corn — and they are vegan too.